To the "Greater Daytona Beach Area" including Daytona Beach & Daytona Beach Shores| Ormond Beach | Port Orange | New Smyrna Beach | Palm Coast | Flagler Beach and all area coastal communities! Call TODAY and put Brenda's area knowledge and expertise to work for you! 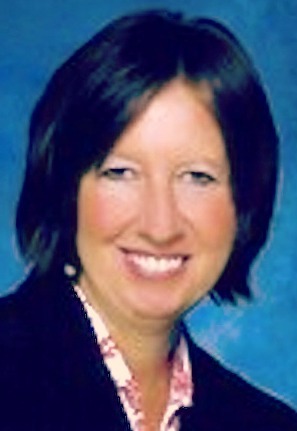 Brenda is a lifelong area native and your expert area Realtor who knows & understands the area like nobody else! Brenda's Reviews - Clients Speak Here! Work with a Realtor with area expertise and career closed sales of more than $17 Million. Brenda was fantastic! She was always available to answer questions and help resolve problems with all aspects of the home purchase process. Very knowledgeable and considerate realtor. She always made sure that I was getting the property that I was happy with. It was a pleasure to work with her and I highly recommend her to anyone looking for great service. I would put her above a 10 if it were available! $214K • 3 Bed, 2 Bath, 1981 Sq. Ft. Wonderful experience and she made it so easy for me . $129K • 2 Bed, 2.5 Bath, 1262 Sq. Ft. This is our fourth time Brenda has assisted us with buying or selling a house. We told her about a house we wanted to purchase last month and she quickly secured a contract. She is a very knowledgeable agent and a very caring person. Awesome experience. $267K • 3 Bed, 2 Bath, 2675 Sq. Ft. OUTSTANDING!!!! That is how I can describe my recent experience with Brenda. She is the reason I am in my new home - and I made a good deal. Period. Her knowledge, years of expertise and familiarity with the area is what guided me and directed me to where I wanted to be. She also made it fun and never frowned when I asked "to see it again" :). Buying a house is exciting, but can be stressful -- choose your agent wisely. If you are looking for an agent, look no further. You found the one. Thank you, Brenda. I love, love, love my new home. $232K • 3 Bed, 2 Bath, 1710 Sq. Ft. If you’re looking for a new home for your family, BRENDA BENZ is the answer. She will help you 24/7. She’s amazing as realtor. She will make you as her priority. Working with her is as smooth as you could ever imagine. As first time buyer, she will guide you all the way. $170K • 3 Bed, 2 Bath, 1238 Sq. Ft.
She was absolutely amazing. Very responsive, informative, and willing to go the extra mile to help us get exactly what we wanted. You can tell she truly cares for her clients. $208K • 3 Bed, 2 Bath, 1496 Sq. Ft. Working with a Brenda was one of the most phenomenal experiences to say the least. I truly have had one of the most tipsy turvy experiences, all due to forces beyond both mine and Brenda's control. There wasn't a single moment that passed where she did not provide me with both a professional and earnest-hearted interaction. Many times when you're dealing with business-related affairs, you have to question the motives of those who are working for you, but each transaction, each showing, each listing, each individual exchange, she truly put me first. I felt like I was her only client. She offered great accessibility in communication, she clarified any questions I had, she provided insights based on her MANY years of experience, and most importantly, she treated me with respect. Whether I was looking for a home with a small price tag, or a large price tag, she conveyed due diligence to ensure that home was the one I would receive because it was in fact the one I liked. The whirlwinds of this competitive market brought many challenges, but Brenda was always hopeful. She provided me with resources for each stage of the process, and her knowledge in each area alleviated any concerns that any buyer is inevitable to have in this process. Brenda continued our search home after home and I was never pressured into choosing a home or made feel less than a client because of what seemed like such an extensive process. It took me quite some time to find a house but Brenda brought the same passion and energy to each home, and offered words of encouragement even when I grew doubtful at points. Her constant reassurance, her devotion to the real estate craft, her skills in both identifying features of a home that would be suitable for the buyer, as well as worrisome were always presented. There were no anterior morives, there is truly only positivity I can say about this experience and I want to convey this is truly saying a lot. I've had many interactions in the business and legal world where professionals will make you feel less than. Brenda, because of her good-willed nature, showed me you can buy a home, and you can work with a knowledgeable professional who is earnest in all of their interactions, and you don't have to compromise one for the other. Thank you brenda for going on this experience with me and finding a home for me and my family. I tell anyone who wants a home in the Volusia area, if you don't work with Brenda Benz, you're doing yourself a disservice. $167K • 2 Bed, 1 Bath, 1011 Sq. Ft.